Things to do in Edinburgh in autumn - top 10 ideas to try! Finding great things to do in Edinburgh in auturmn is vital because you need to get the children out and about or they’ll drive you mad, won’t they? To save my own sanity, I always make sure we’ve got stuff on. Christmas still feels relatively far away (oh god! I know, right?! They’re sneaking the Christmas crap into the shops already! ), most of the tourists have left, and the city is ours again. Daylight hours are still fairly decent and the chances of horizontal rain and wind aren’t yet too hellish. This is a good time of year, so make the most of it and get out before we have to batten down the hatches for winter! 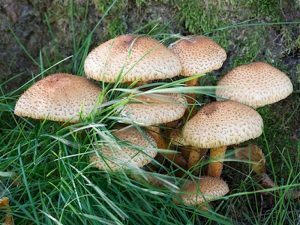 Come along to Holyrood Park and join a Ranger and a local expert to discover the weird and wonderful world of fungi. I always tell my children never to touch ANY mushrooms or fungus, but that’s probably daft – it’s better making sure they know which ones are safe and which aren’t. Walking around a one mile loop round Edinburgh Zoo, it should take you about 1.5 hours to see stunning lantern displays, some of which are huge impressive structures and some of which as smaller animal lanterns, all beautifully hand-crafted by Chinese artists using traditional techniques. There will also be short performances by Chinese artists, and you can upgrade to the optional extras of speciality gifts made by Chinese artisans in the marketplace, as well as Zoo lanterns. Food and drink stalls will be at various places along the route too. Hopetoun House is a fabulous backdrop for a firework display and it’s usually a sell-out, so book your tickets quickly. They’re calling it “The Greatest Firework Show on Earth” this year, and it includes a magnificent bonfire and family entertainment. There is a huge disconnect between so many children today and their food, and too few of them question where their food comes from, how it is raised or produced, and whether it’s actually good for them. We need to get them away from the processed crap on supermarket shelves! A slow meander round the Farmers’ Market gives loads of opportunities for vitally important “food chat”, plus they can see you practice what you preach when you buy from local sustainable farmers. The people on the stalls are generally pretty friendly, so get your children to ask them questions like why they do the job they do, what are their favourite things to growy and why, what’s the hardest food to grow, and do you use chemicals and why/why not. Depending on your children’s ages, why not give them a few quid to buy something which will contribute to tonight’s dinner? Great things to do in Edinburgh in autumn also have to include horse riding – a great outdoor activity for the whole family! If your family’s never ridden before, get yourself along here on a Saturday afternoon! After some introductory sessions, you’ll soon get up on the main trek which takes you through the Braid Hills Golf Course – the view over the whole of Edinburgh is spectacular and includes Arthur’s seat, the Castle, the Forth Bridges and other famous landmarks. Tower Farm offer a LOT of riding activities so you’ll be spoilt for choice. 19-31 October – throughout Edinburgh, and not just for children! “Annual celebration of live storytelling, oral traditions & cultural diversity – a warm, friendly, invigorating experience, perfect for autumn evenings” is how this festival’s described, and that’s certainly our experience of it. It’s been on the go for 30 years now and the programme keeps getting better and better – there’s loads on this year, so have a good read of the programme. Okay perhaps more for the parents (although it’s rated 12+)! Remember the legwarmers, the table-dancing, and how you burned to be at the High School of Performing Arts with the grand piano in the canteen? Take yourself back, feel secretly sad the original Bruno won’t be there, and wallow in nostalgia … What a feeling! Now in its fourth year, the Coffee Festival has various demonstrations, interactive workshops, and other stuff like creating compost from coffee cups, ‘Chocolate and coffee, the perfect pair’, and how to do latte art. My children are getting left at home for this one! Come to Lauriston Castle in costume, bring a wand, and be age 7-11. Makes learning fun and expands the imagination – damn, wish I weren’t too old! The food’s fabulous and so’s the name! Sitty-doony, or take away, for breakfast, lunch, or dinner. Offering an eclectic selection of homemade sourdough flat breads, marinated meats, falafel, salads, pestos, oils and dips served from a wood burning black oven, this probably deserves a mention for the name alone. Whether you’re vegan, vegetarian, carnivore, gluten-free or gluten-a-go, you’ll find great grub here. This Middle-Eastern type food makes me want to crack out the recipe books – and that doesn’t happen often! So have you got any other great ideas for things to do in autumn in Edinburgh? If you’ve got anything really interesting or unsual planned, let me know in the comments below!